The new Canon REALiS WUX6500 ProAV is a small, compact, easy to install large venue projector that pumps out 6500 lumens at 1920x1200 resolution. At under 20 lbs, and with a footprint of about 15" square, it is one of the smallest projectors on the market with this lumen and resolution power. Five optional lenses make it easy to install in a wide variety of projection applications in business, education, and entertainment. 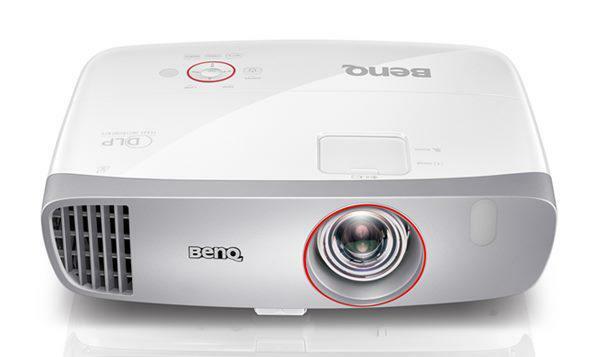 This projector will commence shipment in March for a list price of $6,249 (lens extra). Canon also offers a variation of this projector called the WUX6500 D which includes DICOM simulation for medical applications and lists for $6,879. The Canon WUX6500 uses a three-chip LCOS light engine with small inter-pixel gaps for a very smooth image even at large image sizes. It is particularly adaptable to large venues with difficult combinations of throw distance and image size. Depending on the lens you choose, the WUX6500 can throw a 200" image from about 12 to 98 feet. Check the Projection Calculator, preloaded with the WUX6500's lens data to find the combination of projector + lens that will meet your requirements. Canon lenses for this projector are priced from $550 for the standard zoom lens to $2,850 for the short-focus zoom lens. Due to its extreme versatility the WUX6500 is likely to find a home in everything from museums to houses of worship, higher ed classrooms, sports bars, corporate training rooms and casino sports books. For medical training, the WUX6500 D's DICOM feature is a must with its ability to render x-ray images in a realistic manner. 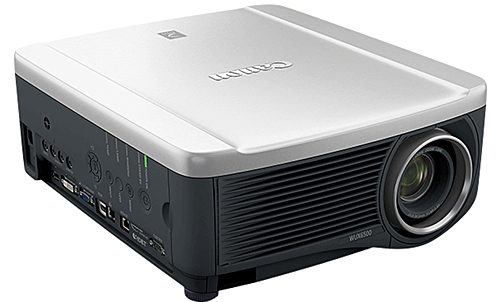 At this writing Canon's WUX6500 is the brightest WUXGA projector for its weight and size in our database. At 6500 lumens and 18.7 pounds (without lens), it is designed for easy installation. Once mounted, the power focus, zoom, and H+V lens shift make short work of centering the image even if the projector location is a bit off target. The WUX6500 features a built-in HDBaseT receiver so uncompressed HD video, audio and control signals can be transmitted over a single network cable over a distance of up to 100 meters. The Canon REALiS WUX6500 comes with a three-year warranty and a 4,000-hour lamp life in Power Saver mode. It is scheduled to commence shipments on March 20. Contact the authorized resellers below for details.